Ron_e had the most liked content! If you check the Utah results you will see that the GT3 is not even listed. They were on slicks so not even EC, if I said before they were EC was my mistake. The only time I knew they were on track was a white flash in the mirror, I would give a wave then they were gone. Having them there was a non-event. If you want to go back a little further: The OE cooler in my car was just a single loop bare tube and did not provide enough cooling. When I first enquired about a non-OE power steering cooler it was assigned 10 points. When I reconfirmed the points a few years later it was increased to 20 points to align with any other cooler. Then tech said the length of the lines from the rack to the cooler were not specified so you could loop a line as many times as you wanted for zero points but if you put in an actual cooler then it was 20 points. There was discussion whether a repurposed heater core would be points or not, in the west it was and 20 at that. It was about a year later that tech said adding a complete power steering system, including the cooler, to a car was driver comfort. So as the rules were, if your car had OE power steering and you wanted to add or change a cooler it would be 20 points. If the car never had power steering but you added and selected the right donor you didn't pay any points for a cooler. So the rules were changed to as you see them now in 2019, the first time power steering made it into the rules. A firm pedal but not a bled line indicates a blocked line. If all lines were open but one caliper not bled should have a soft pedal. Does it have a distribution block after the master? I would guess it is seized and not communicating with the one caliper. The distribution block (larger brass rectangular cuboid) is the factory bias adjuster. Ours is removed in favour of a manual adjuster. ..and most of the comments are from which area? Whatever, eastern and central drama queens then. Happy? No you are missing my point. Theory tested, went fine, no issues, therefore not a problem. Eastern drama queens. Wow you eastern guys go off the deep end. The GT3 Cup car at Utah was a non-issue. He was on slicks, went by only on the straights, would only pass in the corners if a wave was given, and ran both day and night. Pretty sure Mike and the corner workers kept a close eye on them and were ready to pull the plug if anything funky was going on. Yes he would pass at significantly higher speed on the straight, no he would not draft then suddenly pull out, no he wouldn't "dive-bomb", pretty sure he was a smarter driver than that. Seriously, who would he even draft anyway? Have you ever been to track day in your car and had a McLaren 720S leave you like you were standing still? It was like that but not nearly as much of a speed differential. Chill out. I see a lot of transmission failures above. We had two transmission failures at one race (1 hour on the fresh rebuild) but otherwise good reliability before that race. That was the only race that we had solid engine mounts. We went back to rubber mounts and have not had a failure since and that was the only thing changed on the car before and after that race. I would be curious to know from the teams that had transmission failures how many were also running solid engine mounts? I concluded that was the cause of our failures. 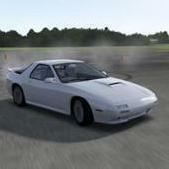 For turbo wins see the Doorslammers Miata at Sonoma or most any race RBank enters with their Saab’s. I never said it was unsafe. There are a number of instances where you can run EC other than excess value. Things like a 24 gallon cell in a 15.4 gallon car, a car too new for the VPI list, tires not 180 tread wear or DOT, 911 GT3, etc. You would be assuming that while filling they are only taking off one cap. If they were to remove both caps then only use one port as per the rules they would be filling both tubes. Another way would be to drill out the flap in the cap so the air can escape while filling. Most caps allow only sucking, not blowing. They have multiple violations of the fuel rules and should be an EC car as it is not a direct run from the filler to the cell with a Y and one more fill port than stock. In ChampCar? It did happen, with the E36 which caused the strat of another series and a big decrease in the number of entries. That is why cutting back needs to affect all cars, not just one specific model, or at least most cars and can be to varying degrees. Read 9.10.4 again: "May" be installed. This has always been there in the rules. We have run a cell since 2014 with just a vent line, this year adding a catch can on the vent line. As @mcoppola said this is meant for use during the fueling process if you choose and are filling so fast that it burps out the vent to a catch can, see 9.10.4.5 regarding "hand-held", obviously your driver is not going to be holding an overflow can while driving, this is during the fueling process. No they said they were having ignition problems and to try to solve it they were swapping out everything including the ECU. They had "forgotten" that their spare ECU had a chip. Ha, don't kid yourself. Chips have been uncovered in BMW cars since at least 2012, unclaimed, back when it was 75 points. The only difference being OBDII computers can hide them in the ECU while OBDI usually sticks out as an obvious add on. Back then maybe just the teams with OBDII were doing it, now more people are doing it. It has always been an "option".